As a martial arts instructor, I have found the growing popularity of the UFC and MMA on a whole to be really helpful in marketing and heck, just talking about my martial arts. People know what Kick boxing is, or what Brazilian Jiu Jitsu means. When I say Judo, I don’t receive nearly the amount of blank stares I used to get. I am sure that some of you have seen commercial before but its new to me. I love watching commercials and trying to figure out what they are advertising and seeing how they hope to get you hooked. This one made no sense to me. Jon Jones is an impressive athlete, but the clothes make him look like a normal guy. He’s shown side kicking his child on a swing, and there is a vague attempt at humor. If they didn’t put the text on the screen about the UFC being shown on FOX, I doubt any of us would have been able to guess that was the point of the ad. It looked like an advertisement for some family sitcom…that I wouldn’t watch. I don’t know if that’s the UFC’s attempt to grab a new demographic, soccer moms, or if FOX is trying to soften MMA’s image, but I don’t think its working…any of it. Fellows, if winning the UFC was easy, I’d have totally done it already. Now Brock gets to be remembered mostly for biggest hands and worst tatoo in UFC history! And he hasn’t even considered how hard it makes to cover things as a blogger! 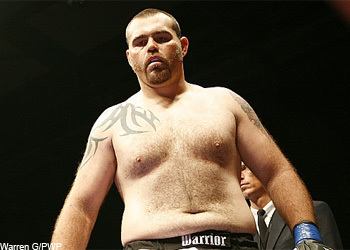 I could always fall back on something Chael Sonnen said, or I could make fun of Brock’s chest tatoo! I am totally unfriending him on Facebook.